RICHMOND RESIDENCE - SK Design Group, INC. The Richmond Residence is currently under construction. 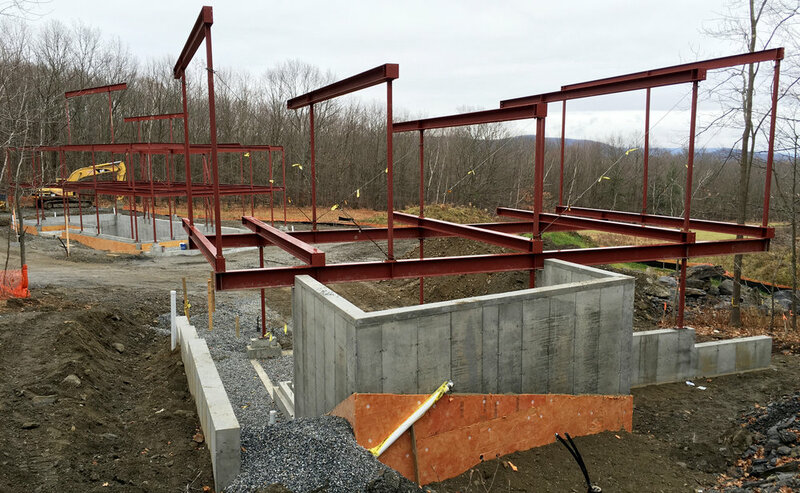 Upon completion, it will feature a main residence, bunkhouse guest home, carport, and swimming pool. It has a sprawling southern view of the Berkshire mountain landscape. It is believed to feature the first and only green roof in the Berkshires. The passive design of the home includes four geothermal heating and cooling wells, roof mounted solar panels, and a highly insulated exterior envelope. Completion is expected in the Spring of 2018. The project was designed in collaboration with SK Design Group, Andropogon Landscape Architects, and Harris Steinberg. 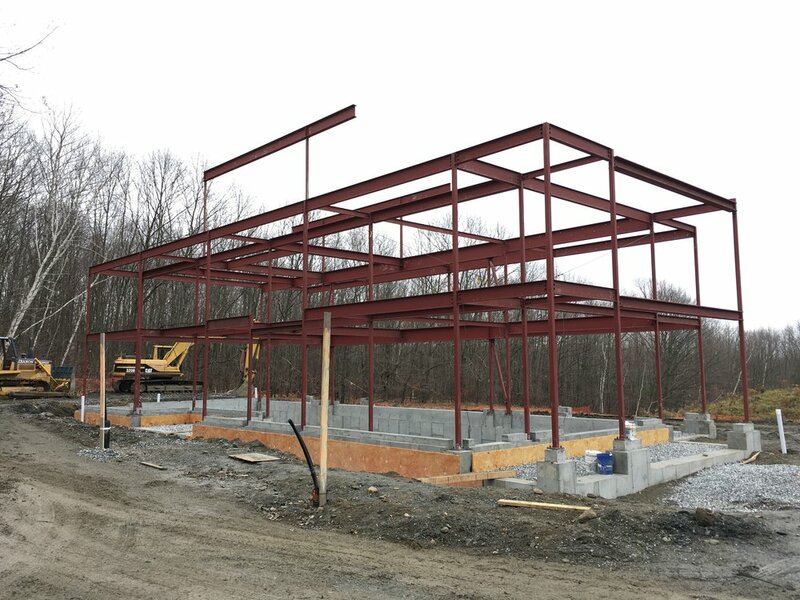 The general contractor is Little Deer & Co.
SK Design Services Provided: Building Design, Structural Engineering, Civil Engineering, Land Surveying, and various permits.